Mino Denti (born 5 February 1945) is a retired Italian road cyclist. As an amateur he won the team time trial event at the 1965 World Championships and placed third in 1966. Later in 1966 he turned professional and won the Tour de l’Avenir in 1966. In 1967 he turned pro with Team Salvarini, moved to Faema Team in 1968 and won Giro dell Veneto 1969 in SCIC jersey. 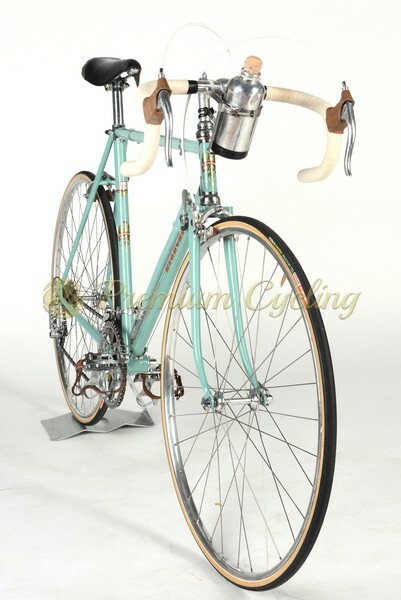 After the crash at Giro d’Italia 1970 he finished his carrer and entered in a world of frame manufacturing amd opened his bike shop in Brescia, northern Italy. Here we are presenting Mino Denti’s masterpiece from early 1980s – DENTI Master. The frame is work of art, made of Denti’s self designed crimped Columbus SL tubing, featuring the perfection and attention to details to providing the best performance you might expect from early 1980s racing machine. 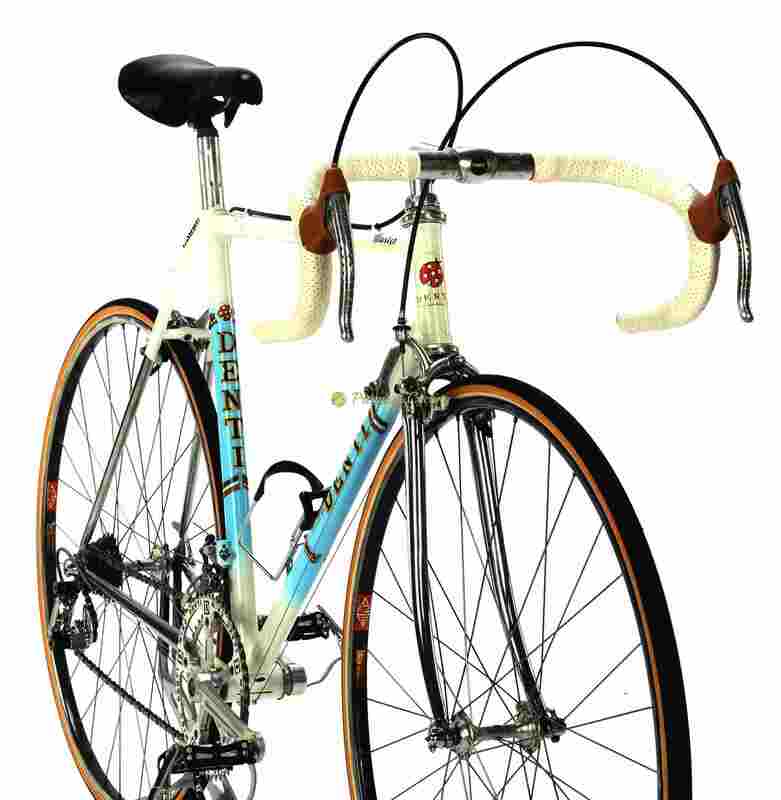 Denti’s Master curved seat tube, crimps on each side of top-down tube and aero shaped fork are pretty advanced for it’s era. Only the best parts are good enough for such a masterpiece: Campagnolo Super Record groupset with pantograph shifters and chainring, pantograph DENTI Cinelli cockpit, Mavic GP4 rims, Concor saddle. No much words needed. Condition: Used, but good condition. No cracks, no dents, not bent. Some touch-ups and signs of normal use. Groupset and wheelset are in good condition.